glamour + camping = glamping. And I'd reallllly like to thank the person (or people) who came up with the idea. As a certified city girl, I've gone camping just three times in my life. The first time was a nightmare, complete with leaky tent, frozen toes and - the rather inconvenient realization that peeing in the woods is not a thing that I will do (the woods are dark and full of terrors, you guys). The second time was definitely a step up, mostly because I insisted on a campsite with proper restrooms. New camping gear also helped because everyone knows that new toys always make anything better. And what about my third camping trip? Well, that's when I finally got it completely right. Inside the Johnny Bull tent, home for the weekend. 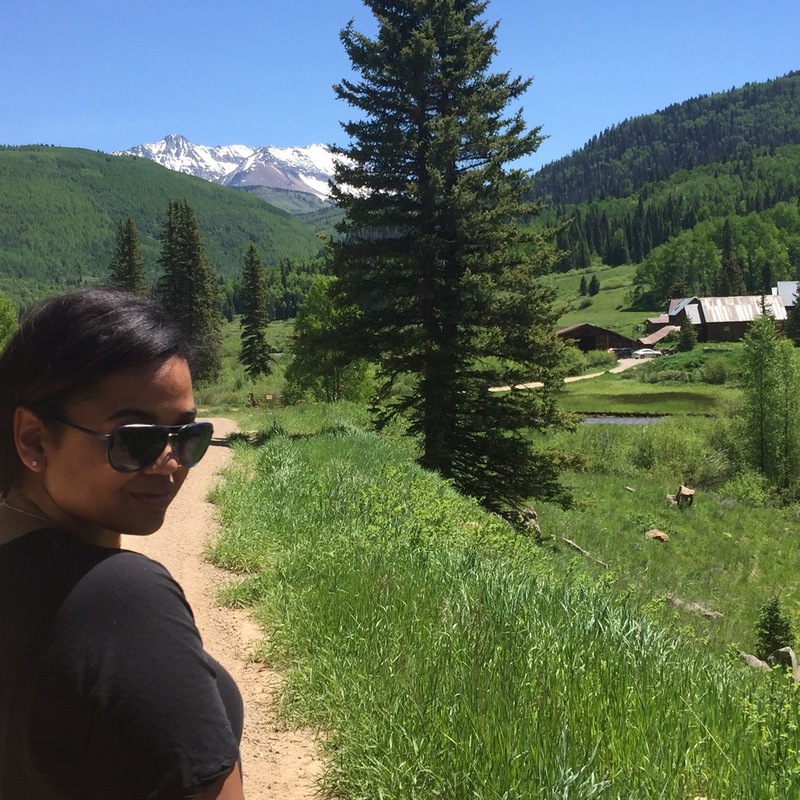 For my third wilderness excursion and official first glamping adventure, I stayed at Dunton River Camp - a #DuntonLife property just over an hour outside of Telluride. I got a healthy dose of fresh air and (mostly) went off grid for a few days since there was limited wifi and zero cell service in the area. The food (all meals are included with your stay) was incredible and one of the chefs even went foraging for wild mushrooms every morning. After dinner each night, we wrapped up our day by heading over to Dunton Hot Springs (just a few miles up the road from the River Camp) for a little extra r&r. Needless to say, I'm on the hunt now for an "I'd rather be glamping" bumper sticker and good luck to anyone who tries to get me to go traditional camping again. Huge thanks to my Dunton Life hosts for showing me how this Colorado outdoors thing is really supposed to be done.